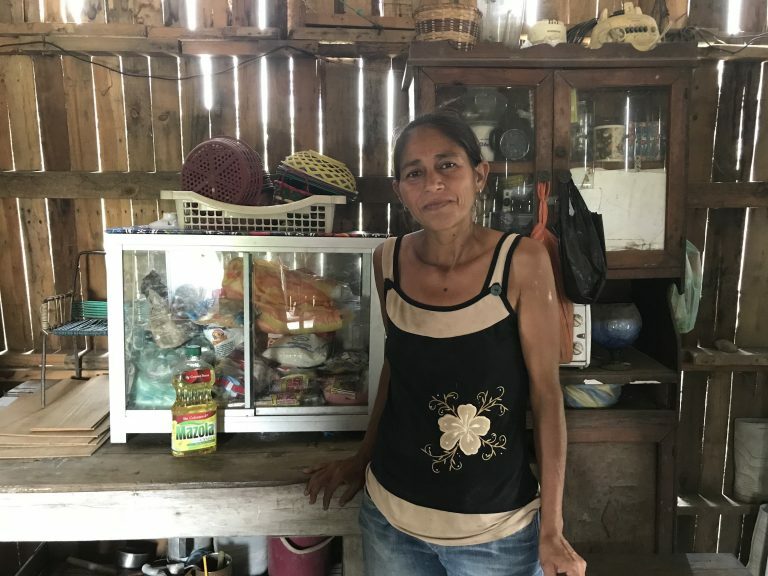 “Tina” lives at the end of a dirt road in a one-room house she rents for $21/month. It has a bed that’s elevated due to flooding, slats through which the daylight shows, a dirt floor, fridge and stove. Tina has drawn water from the river and is washing dishes outside when we approach. She is glad to see Yolany and Franklin, Siempre Unidos staff who visit her monthly to bring her the Sustenance Food Bag. It includes 30 days of flour, beans, cooking oil and other basic food items crucial to her nutritional status so her antiretroviral medications can work effectively. Only Tina’s eldest daughter knows her HIV status. Tina gives Yolany a long hug. She knows she’s cared for and loved.